Let’s color the letters of the alphabet. They get to color the letters and even do some alphabet tracing and take first steps towards writing! You can never have too many coloring books. They travel well to waiting rooms or anywhere adults are busy talking. I always kept coloring books in my bag and up on a high shelf at home to pull out whenever the situation warranted. I even kept a few coloring books in the car with colored pencils (forgotten crayons melt into the seats on hot days. I found that out the hard way). One child could coloring while the car was moving the other got motion sickness but colored whenever we were waiting to pick someone up or stuck in traffic. Easy, educational, inexpensive, always handy and loads of fun, coloring books are a great resource for parents and teachers. Color inside the lines to develop fine motor skills and color outside the lines and be artistic to develop creativity. Elephants can be purple or polka dotted, it is all fun and important preschool development. Each page ABC Coloring Book features a letter of the alphabet with lines to practice the letter, objects starting with the letter and a big upper case and lower case letter to color in. 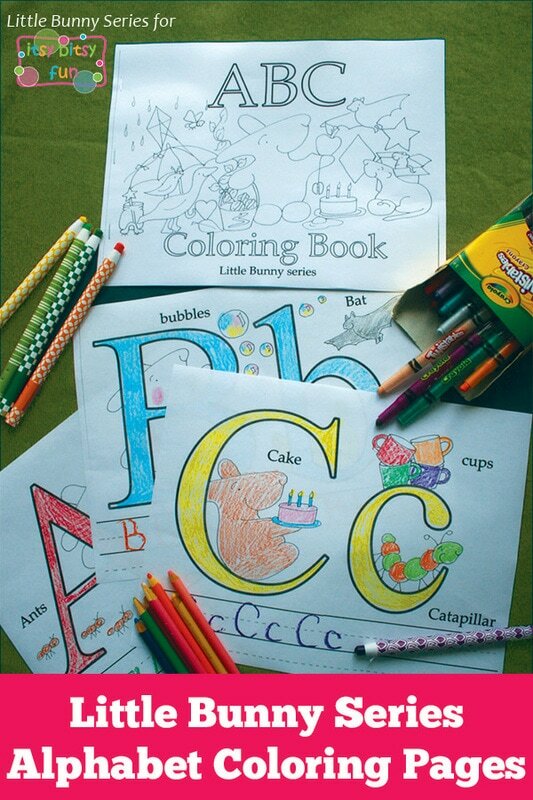 Print out all the pages of the ABC coloring book and staple them together to make a book that is easy to grab and go. Or print the pages individually and when they are completed tape along a wall for a mural or staple together to read and have as a keepsake. 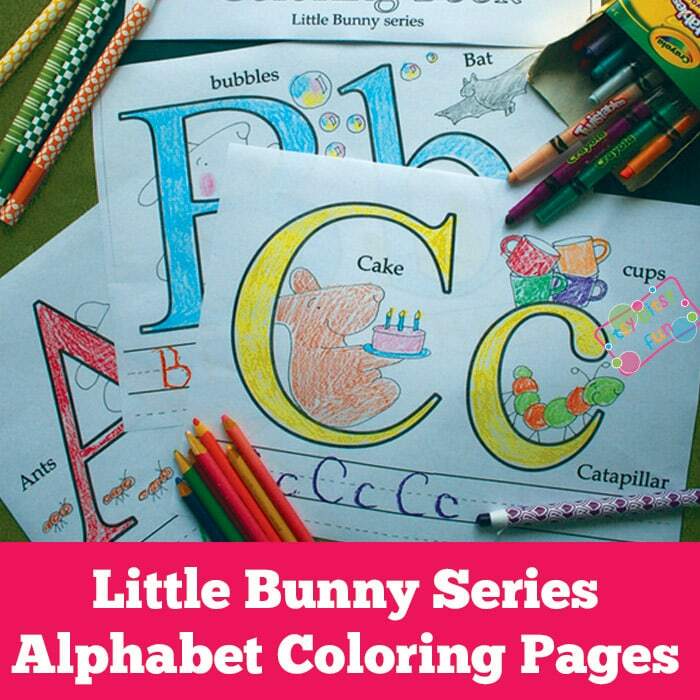 Get these free printable Little Bunny – Alphabet Coloring Pages here. Let’s start writing the numbers with the help of number tracing worksheets! Counting to ten might sound easy but what about counting backwards? 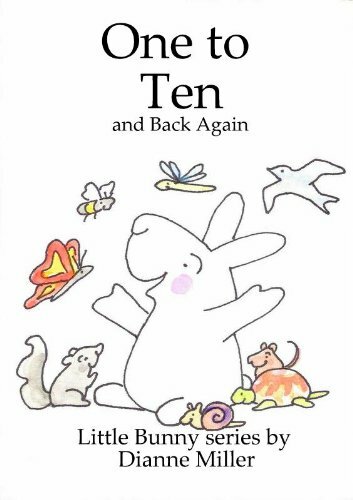 This adorable book helps kids learn to count to to (and back again) as Mama and Baby Bunny walk down the trail and count other animals. Sweet and simple. Dianne Miller is a landscape painter who lives in Virginia with her husband and two daughters. Her work includes the Little Bunny series written for her children when they were preschoolers.